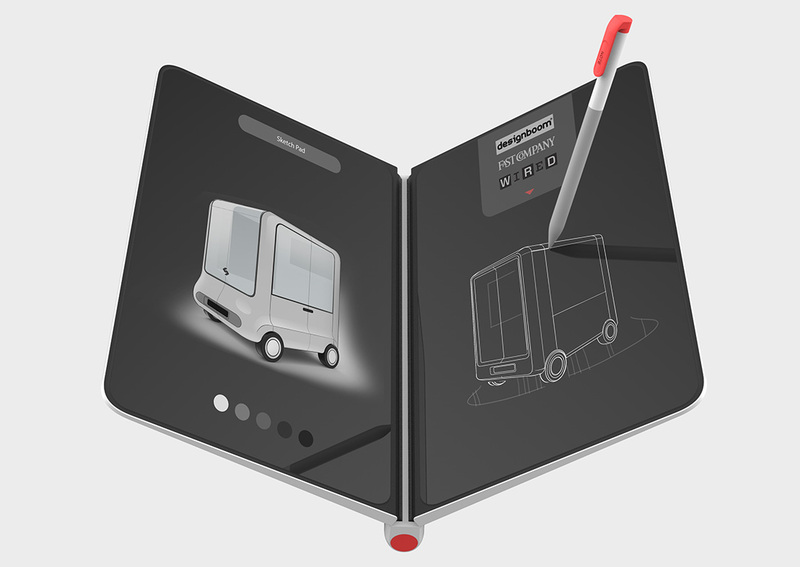 Designers are always traveling from one place to the next in search of inspiration and to meet with clients. 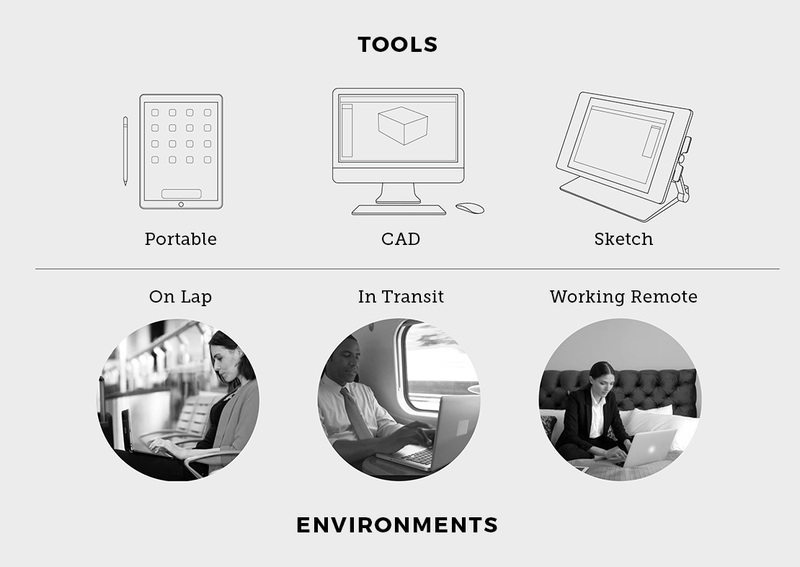 It can be challenging to find equipment that fits our increasingly nomadic lifestyle — there are no mobile workstations that solve the problems designers have while traveling. 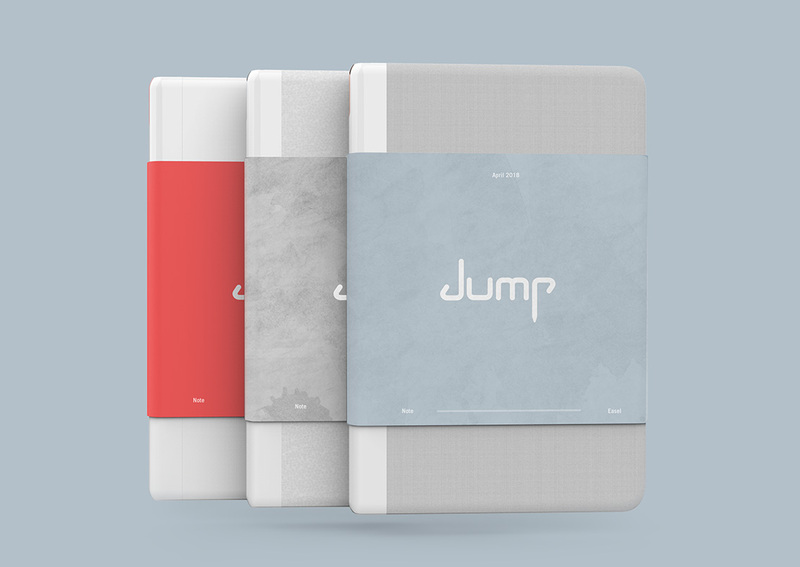 Jump is meant to improve designers’ on-the-go working experiences by giving them the tools they need to work in compact and remote environments. 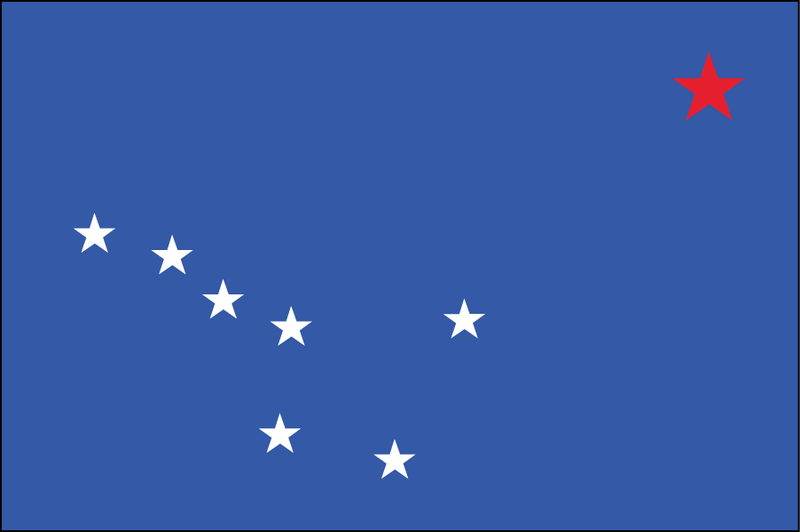 It’s an idea I developed as part of a personal monthly challenge I embarked on earlier this year. 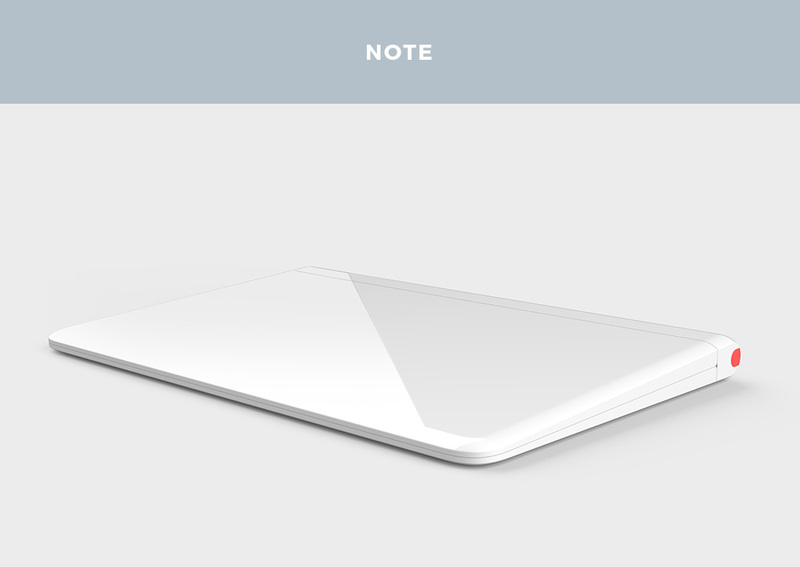 I designed a pared-down version called Note and a fully-featured one called Easel. 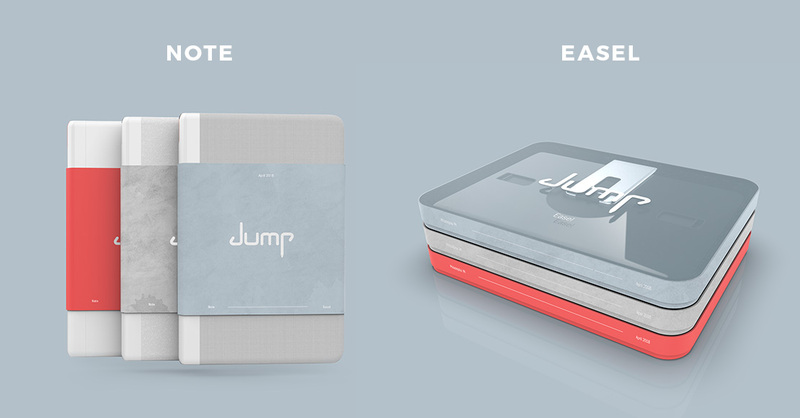 The Jump Note is a compact workstation primarily designed for sketching and inspired by classical paper notebooks. 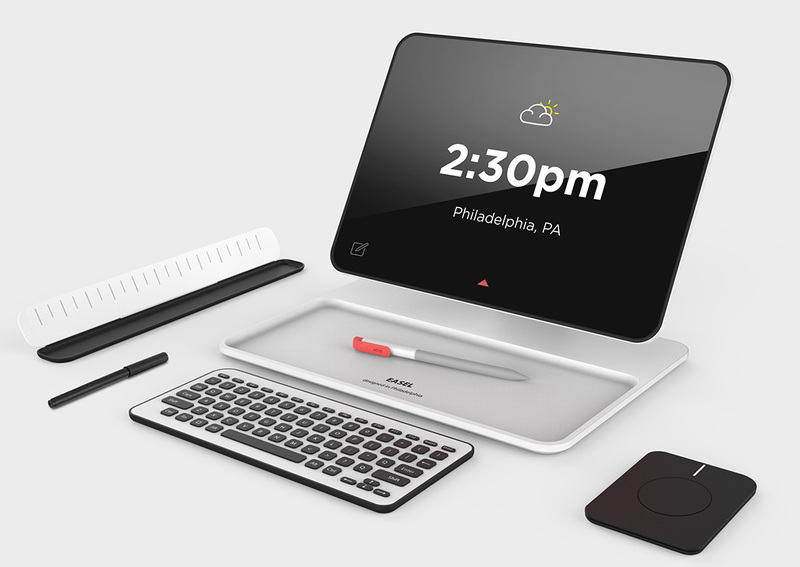 It features two touch displays, which give the user the flexibility to either sketch with the integrated stylus on both displays or to sketch and look for inspiration at the same time. 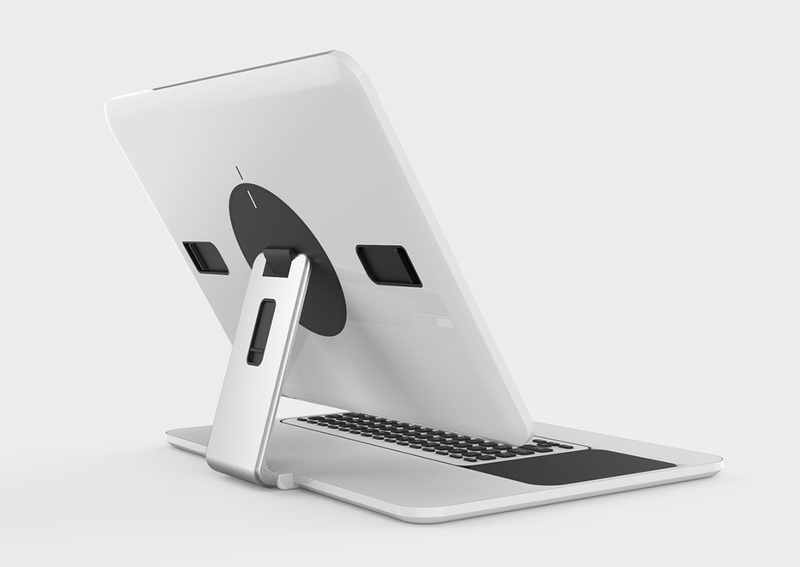 The Note allows the user to work in CAD by rotating the device into a laptop position. 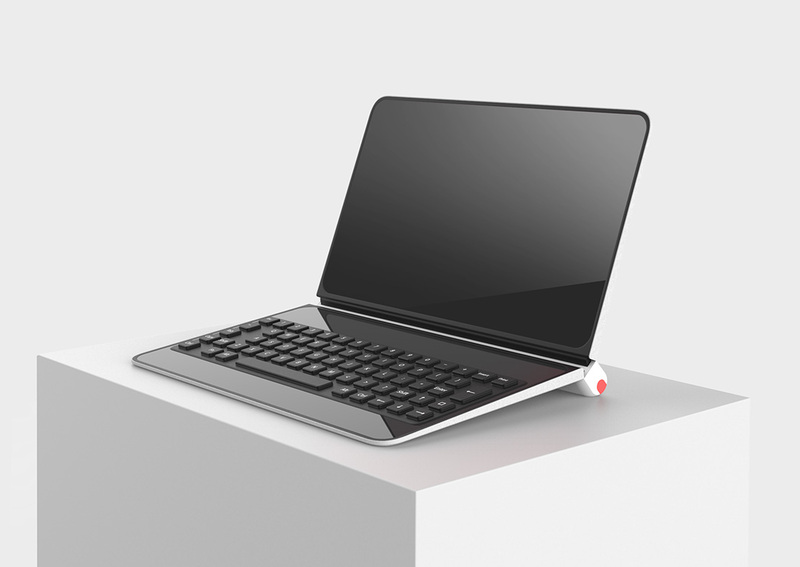 The designer can choose to lay down an elastomeric (or flex) keyboard over the digital keyboard to provide a tactile experience for writing e-mails or working on PowerPoint. 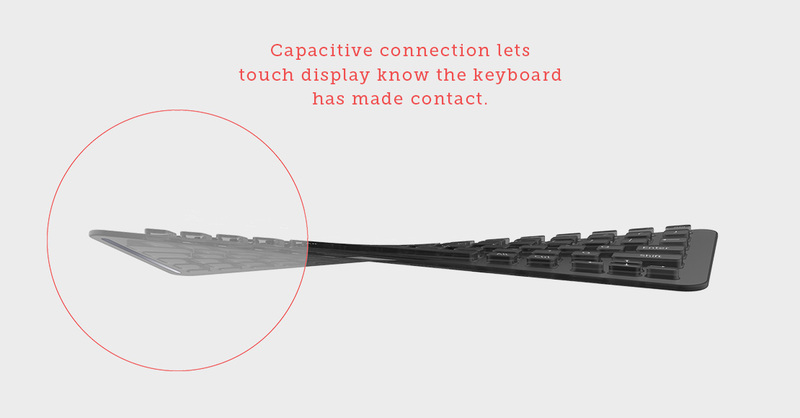 A capacitive connection lets the touch display know the keyboard has made contact. 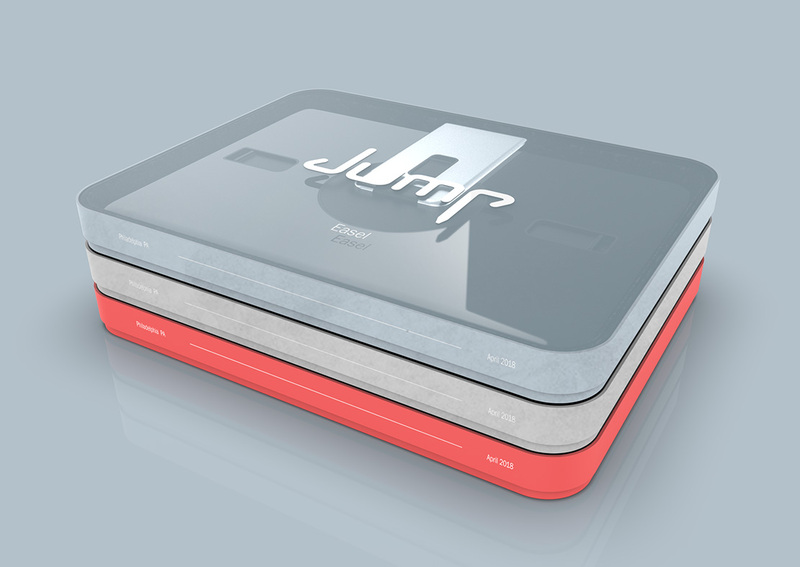 The Jump Easel is a fully-featured travel workstation with a movable display that allows the user to draw, paint, and design in a variety of ways. 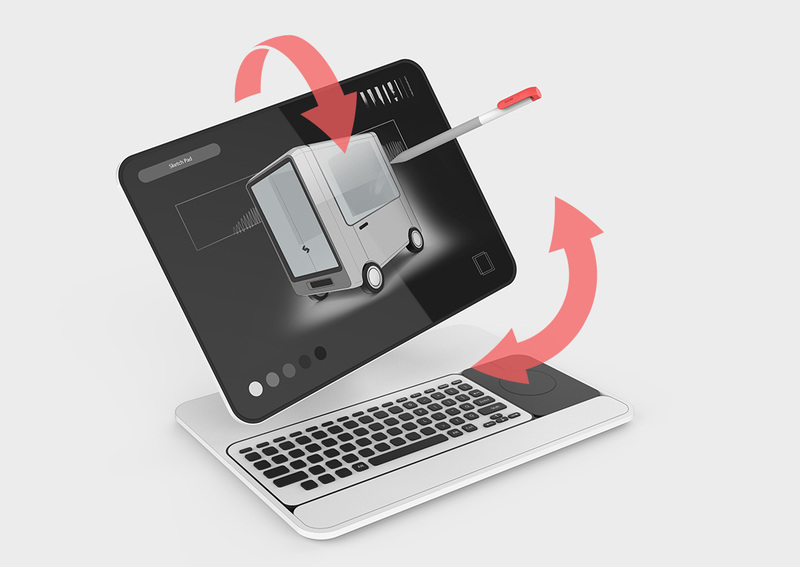 The whole kit folds flat, making it easy to travel with, and the keyboard and mouse-touchpad pop out to allow the user to reconfigure their workstation to fit their environment. 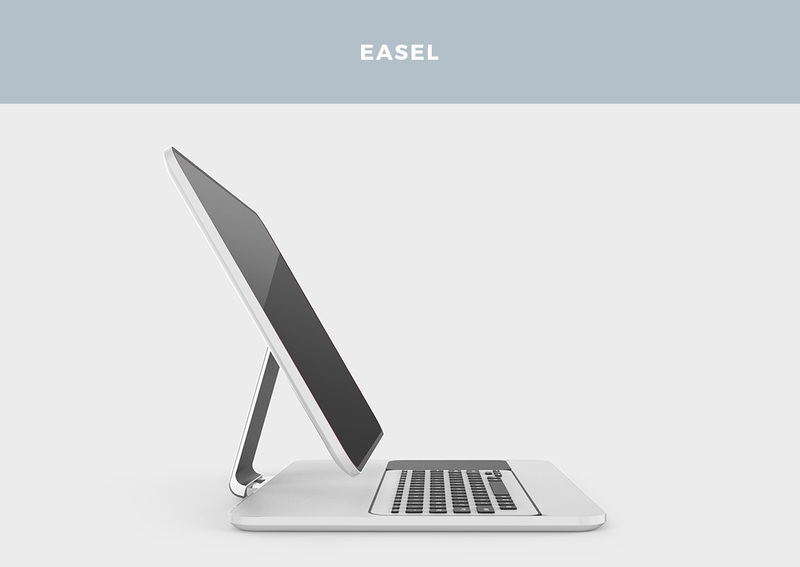 Easel works like a portable Cintiq, which is ideal for designers and artists who like to sketch on large displays. 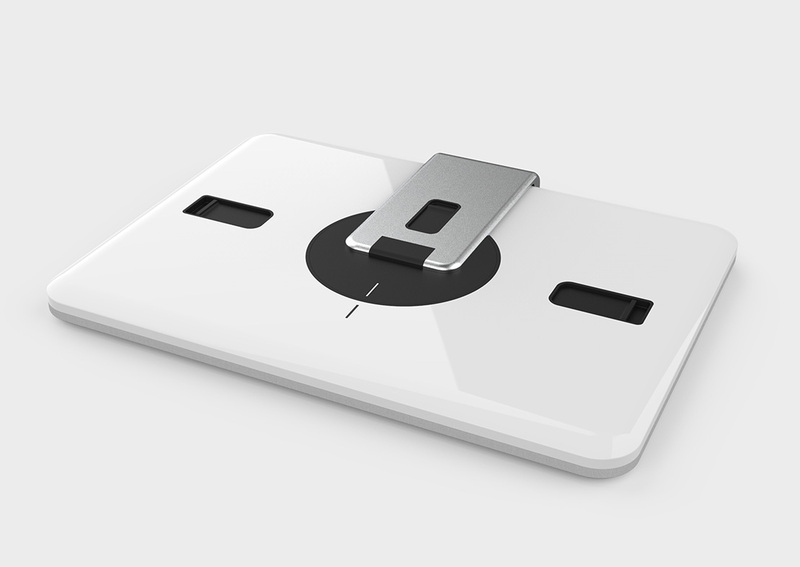 The combined mouse-touchpad is designed with CAD users in mind as is the keyboard which provides tactile feedback. 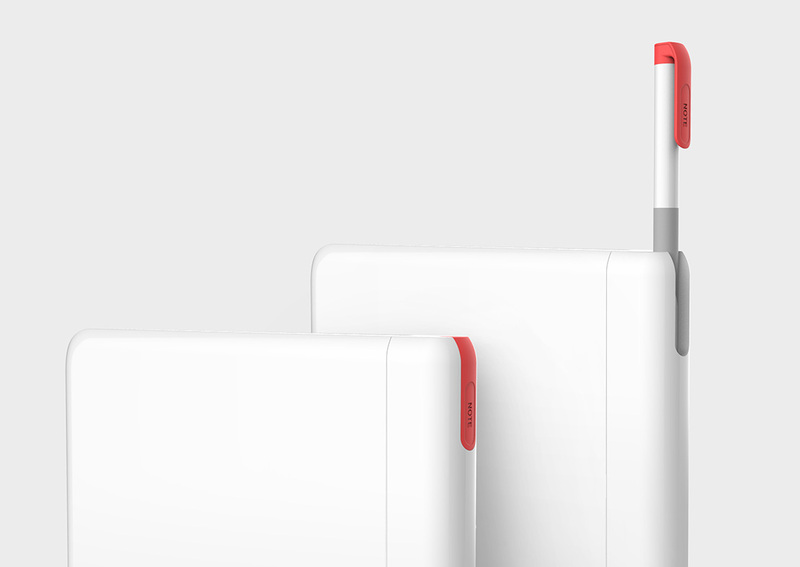 The tray that holds a stylus and writing utensils has ruler marks on the inside of its lid to double as a straight edge. 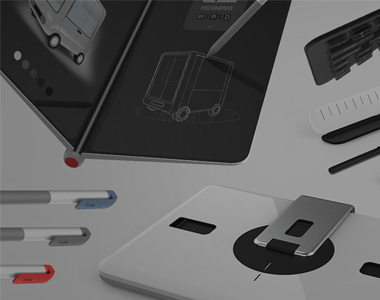 Ed challenges himself to bring ideas from other disciplines into his industrial design practice. 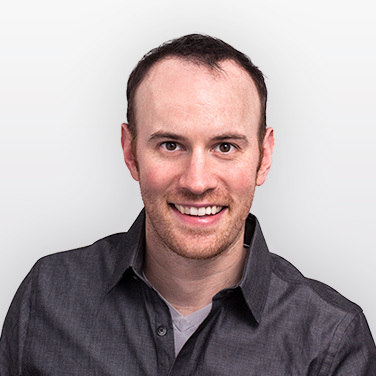 He relishes Bresslergroup's multidisciplinary approach, which has him working closely with engineers to fine-tune designs for production.